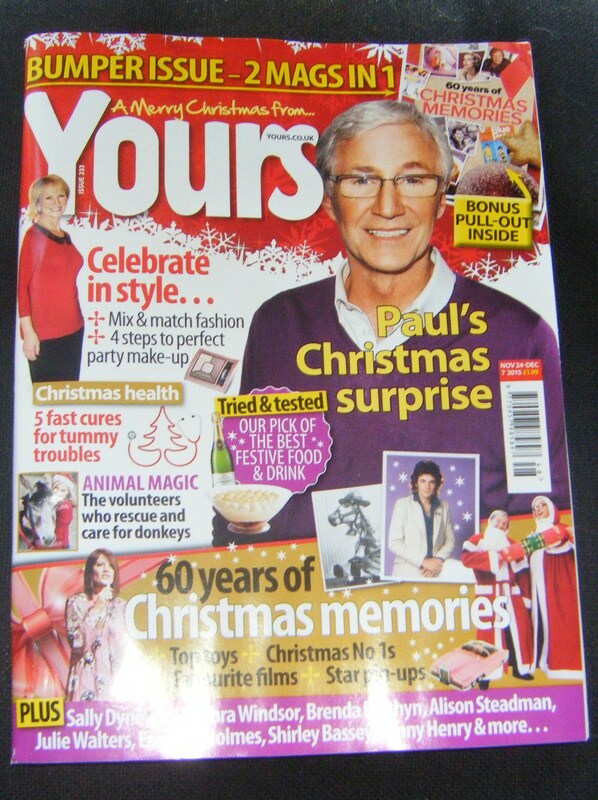 In the current issue of “Yours” magazine (Issue 233, December 2015) you will be able to see me, sitting on Santa’s knee, aged three. I look very uncomfortable, almost scared, but this was one fear I overcame very quickly and grew to love Father Christmas! I don’t know that I was every really happy about visiting him in his grotto each year, but it was a small price to pay in order to tell him what I wanted him to bring me for Christmas. It was nearly always a doll. 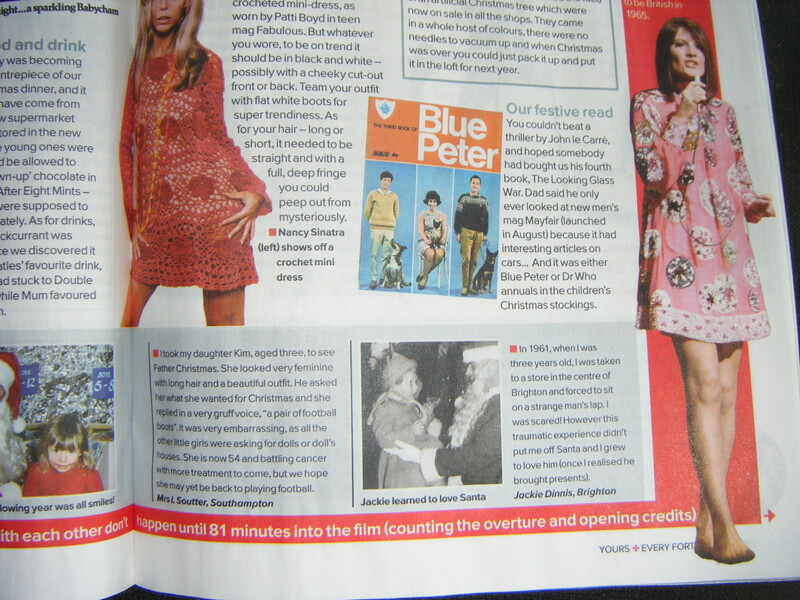 This entry was posted in Beginning life in Hove, jackiedinnis and tagged Christmas, Father Christmas, Yours magazine. Bookmark the permalink.